Around 2001 I bought a used Korg MS2000R and have really enjoyed playing with it over the years. So much so that I’ve recently added a second Korg MS2000BR version to compliment the first. Both connect together nicely which increases the polyphony. I basically use one module for creating synthetic drum sounds and a split bass over the top. The second module can now be used for added sequences or lead sounds. The MS2000 modules are a real joy to use and are quite simple to program. The arp and mod sequencer are outstanding which allow you to create some really cool beats, soundscapes, and modulated sequences. 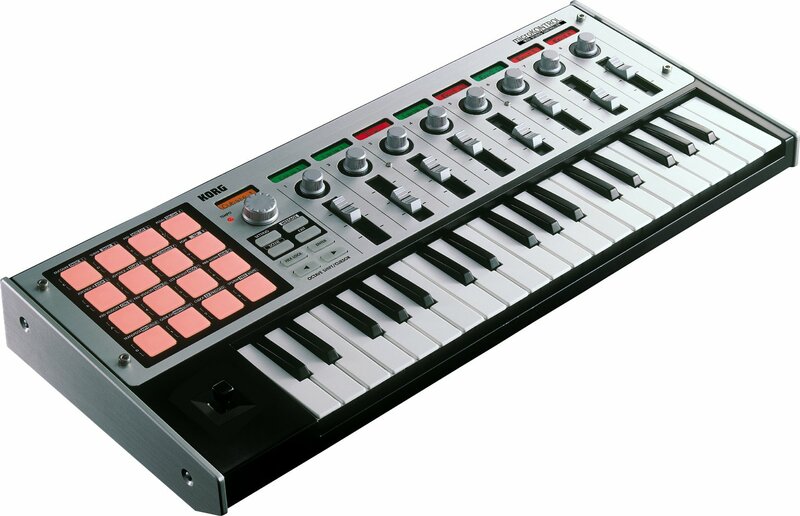 The sequencer is similar to that of the Klee Step Sequencer. Both modules sync up very well and I’ve had zero trouble with drifting or timing getting out of whack. Although you can load the MS2000BR presets into the MS2000R, it’s nice to have both sets available at once. Sure it’s redundant perhaps to own dual Korg MS2000 sound modules, but in Japan these are crazy cheap nowadays and when I saw the BR version last week I couldn’t pass it up. I also found a cool rack to put the modules in and was even able to add the Roland JP8080 sound module in there as well. I can now sit down and tweak away creating all sorts of interesting sounds and sequences. Here is a fantastic video about how to create a drum set along with bass and a lead sound using the Korg MS2000. I do this all the time with my MS2000 modules and you can get some really good results. Of course you are limited a tiny bit with one module which is why the second one really opens up a lot of new opportunities. 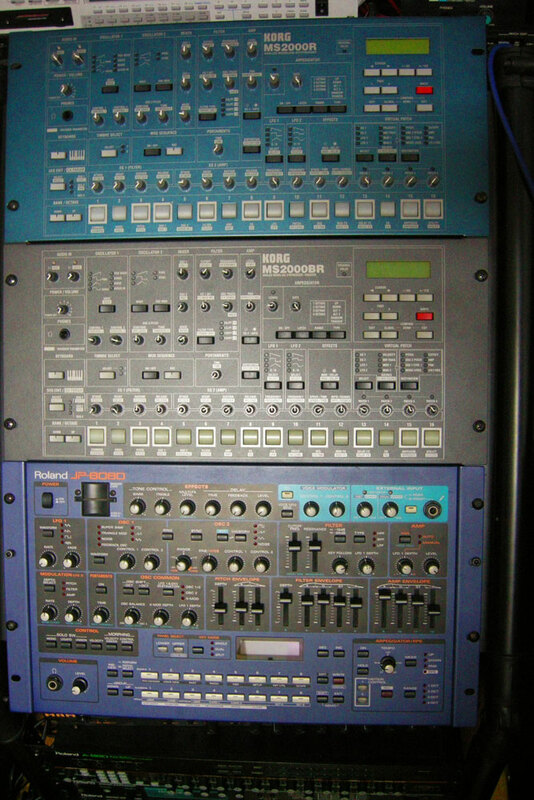 Still though one Korg MS2000 is likely all you will need to create the same thing and more. These are great synthesizer modules. Recently I picked up a few used Roland musical items that I rather like but use the zip drive format. I found a Roland VS-840EX in mint condition along with two Roland SP-808 samplers at rock bottom prices. 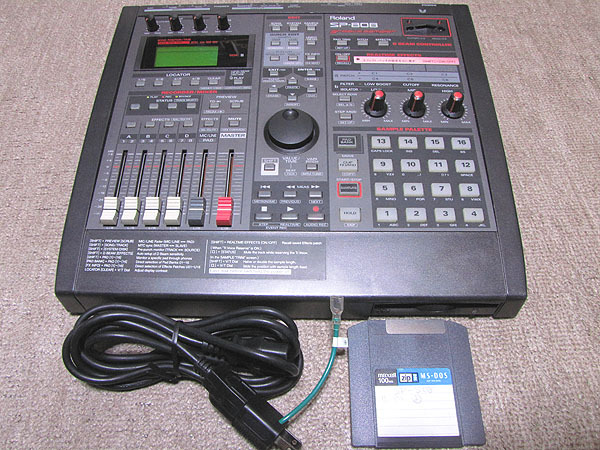 The Roland VS-840 already was an EX version and I upgraded the two SP-808 samplers to the EX software version using OS midi files found online. Both the Roland SP-808EX and VS-840EX are excellent for triggering samples. I use the SP-808 WWAC converter program on my computer to import WAV files. I then use the BR WAV converter to import WAV files into the VS-840. Both machines sound fantastic, especially the SP-808EX. All in all, these are two very capable machines and are both a joy to use even though they are older devices. The SP-808 in particular sounds really good. It’s important to note that my main uses for both machines is to simply trigger samples and apply effects. In other words, I like to use them as back track machines that I can use to play along with using my keyboards or guitars. For this the SP-808 and the VS-840EX work very well. Of course one can expand on the SP-808 and create sampled grooves plus one can record tracks onto the VS-840EX no problem. Both however are older machines so you have to expect limitations at times if you want to really use them for their intended purposes. I like to buy used gear and think outside the box a little bit. The SP-808 is a great groove box for backtracks and for the prices they are going in Japan now it’s crazy not to pick up a couple. 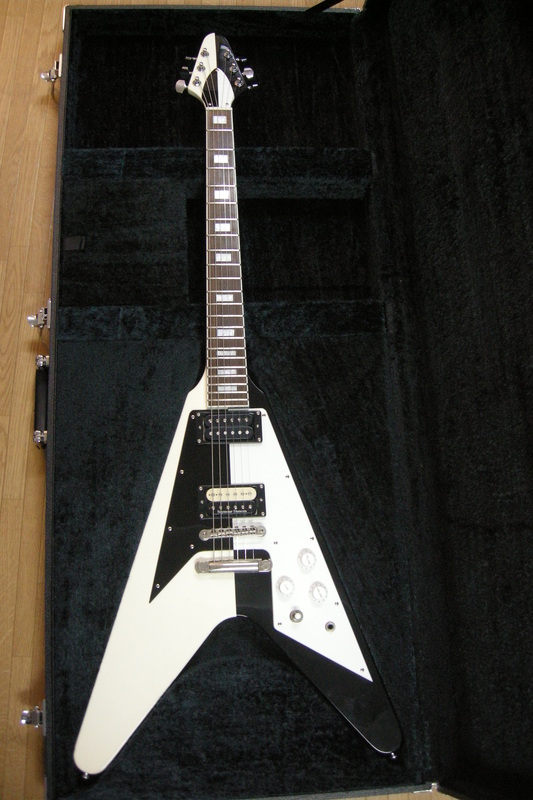 The VS-840 are also a dime a dozen here too which is great on the wallet. This week I was researching on some forums that the Roland VS-840EX could successfully be fitted with a Compact Flash Card to IDE converter in place of the zip drive. 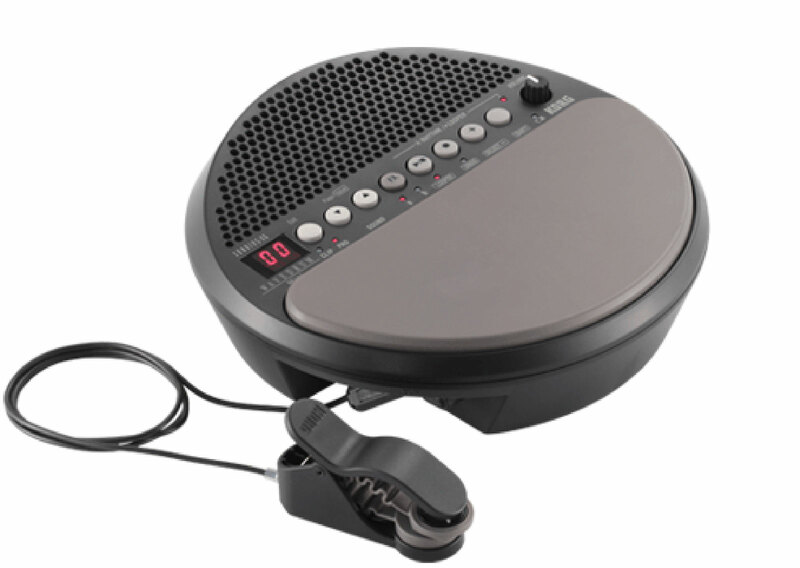 This allows you to use 1GB flash cards and to operate the Roland VS-840EX in silent fashion. A place where these CF to IDE cards are purchased is from an online vendor called Deal Extreme (An Absolute HORRIBLE company. 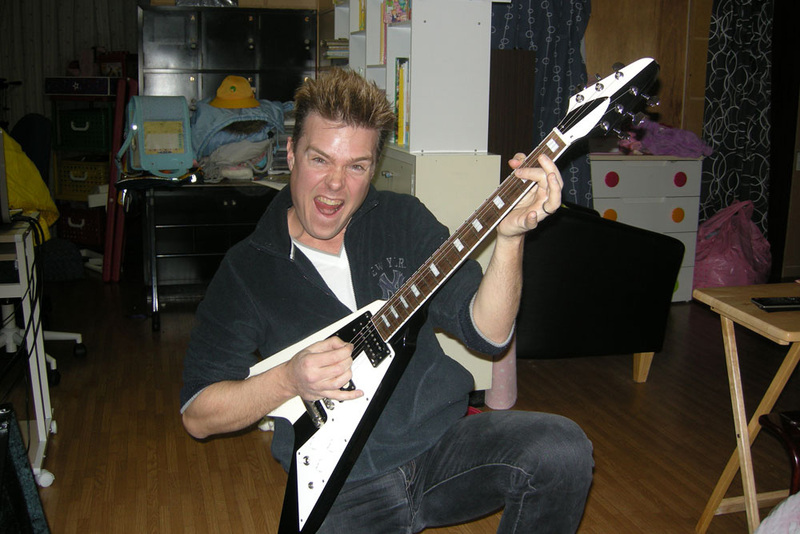 Read comments about Dealextreme experience! Buyer Beware!) which are based in China if correct. These have been confirmed to work and once my order has arrived I’ll update this article with whether indeed it does. It’s apparently quite simple to swap the zip drive out and attach the CF to IDE adapter. In addition I picked up the SD to IDE adapter as well because both the CF and SD apparently work. These are very cheap from Deal Extreme although the company is very slow to ship I must say. In addition, I will be installing both CF and SD card adapters into the Roland SP-808EX for testing and hopefully they will work. There are reports of CF card drives that work in the Roland SP-808 but no confirmed reports of exactly which drives or adapters. This is a huge thing if a CF or SD card adapter can be found for the Roland SP-808 Sampler. I’m not expecting it work really as so many adapters have been tried on the SP-808 and it’s been reported the OS firmware is the reason behind all the failed attempts. However, some do work and it is my hope that what I’ve recently purchased will be successful. Currently I have a ton of zip disks and both 100 and 250 zip drives around the place. So it isn’t an issue of finding zip disks or working zip drives. I also have never really had any “drive too busy errors” because I mainly used the SP-808 and VS-840EX for sample track playback. However, the noise of these zip drives can get to you after a while especially in a quiet studio environment. So it would be really wonderful to get the zip drives out of these boxes. I’ll update this post after I get the CF and SD card adapters into the Roland SP-808EX and Roland VS-840EX. With any luck I’ll have extra storage and a nice quiet place to work. Although the zip drives and disks work great with these machines and the with the computer, the CF and SD card versions should make the work flow a bit smoother. 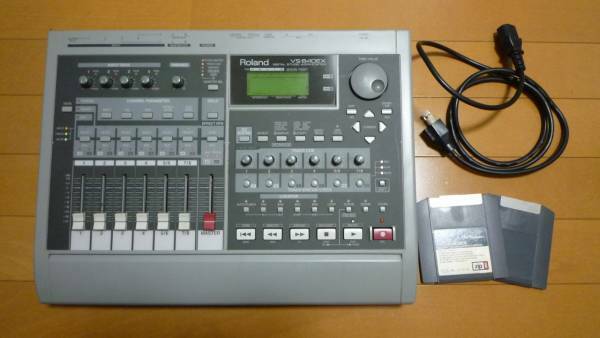 There are a ton of used Roland SP-808 and VS-840EX boxes in Japan. They are all super cheap too so if this works I pick up some more for the kids and the whole family….laugh. Stay tuned! Korg Microkorg Synthesizer brings New Year fun! This little synthesizer has been on my wish list for some time and on New Year’s Eve I finally found one sitting in a used Music Shop called “Hard Off” on the outskirts of Nagano-city. It was at a great price and as a bonus it came with a very nice original softcase which I hadn’t seen before. I turned it on and checked it out before I bought it and found it to be extremely fun to play with. 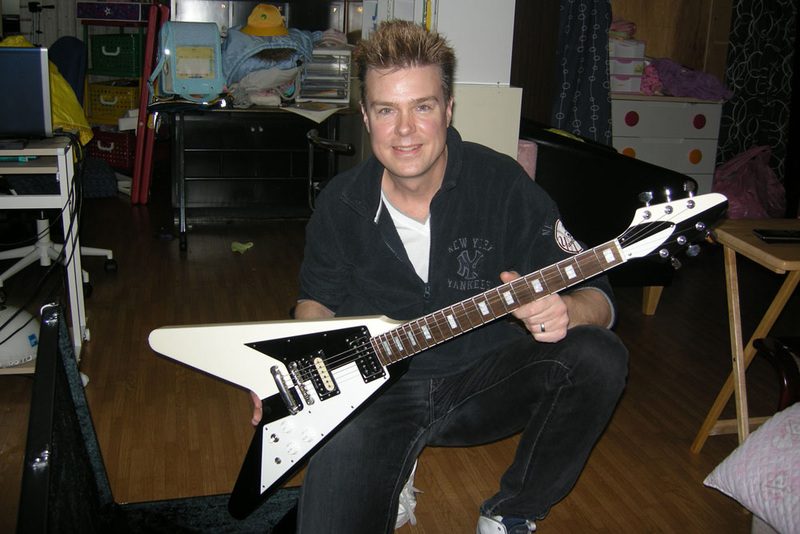 Later when I brought it home, I found it complimented nicely with my other gear for playing cool lead sounds or melodies over progressions and movements. I also have a Korg MS2000R rack version and I hear the Microkorg is similar to the MS2000R but haven’t really compared them yet. If they are, I can definitely say it will likely not matter because I’ll 100% be approaching these two machines differently. The Microkorg is so accessible and easy to add to a mix if using it for one or maybe two tracks. Programming it seems pretty easy and I really dig the arpeggiator on it. I did consider the Microkorg XL but ultimately settled on the Microkorg original version because it basically was all I needed. 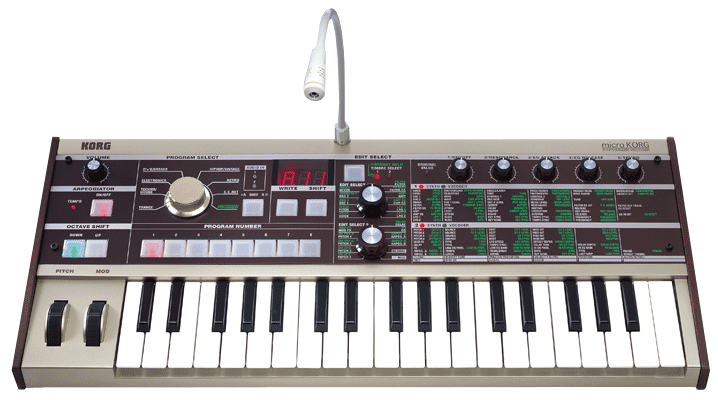 I really feel the Microkorg has the potential to become a classic one day with it’s design and decent functionality. It’s a very fun synth. The size of the keys are small of course but they actually aren’t all that difficult to play with. You really get used to it quickly. The Microkorg Synths are becoming more cheap these days and I highly recommend picking one up if you find one at a good price. It’s a great synth to get creative with. A few days before New Year, I found a used Korg Microkontrol Keyboard at the local used music shop. Someone had brought it in earlier that day with the original box and everything in it. I was really interested in this mainly for controlling some software sequence applications such as the Klee Software Step Sequencer and the M185 Step Sequencer software from Defective Records. I also wanted the pads to trigger a couple of midi drum apps and thought the Korg Microkontrol would fit the bill nicely. I also use Kontakt occasionaly as well as Sonar and so far the MicroKontrol works fine with those applications as well. I use my Roland Edirol PCR series controllers mainly for controlling other hardware sound modules. So far I think the MicroKontrol is a pretty cool little unit and should work nicely at home or on the go with programming midi files for transferring to my hardware synths. I know there are a TON of other great controllers out there for the computer so I’m not aiming to make comparisons other than to say that it works well straight out of the box and I can pretty much control what I need no problem. The build quality is fantastic and I really like how it all lights up in the dark. These don’t pop up in the used music stores very often so I figured picking one up while I had the chance would be good. I’m glad I did! It’s fun. Here’s a cool video showing off the MicroKontrol a bit found on Youtube.